Electric Resistivity Tomography profile of the north-facing slope of the Rohrbachstein in canton Bern, Switzerland [Credit: University of Fribourg, Switzerland]. In an earlier post, we talked briefly about below-ground ice and the consequences of its disappearing. However, to estimate the consequences of disappearing ground ice, one has to know that there actually is ice in the area of study. How much ice is there – and where is it? As the name suggests, below-ground ice is not so easy to spot with the naked eye. Using geophysical methods, however, it is possible to obtain a good idea of the presence and whereabouts of ground ice, and of frozen ground, in an area of interest. Before starting a geophysical survey, which requires instrumentation and time, you might want to take a look at your area of interest and estimate, whether ice presence is even an option. The first indicator is temperature, which has to be in the favor of permafrost presence. 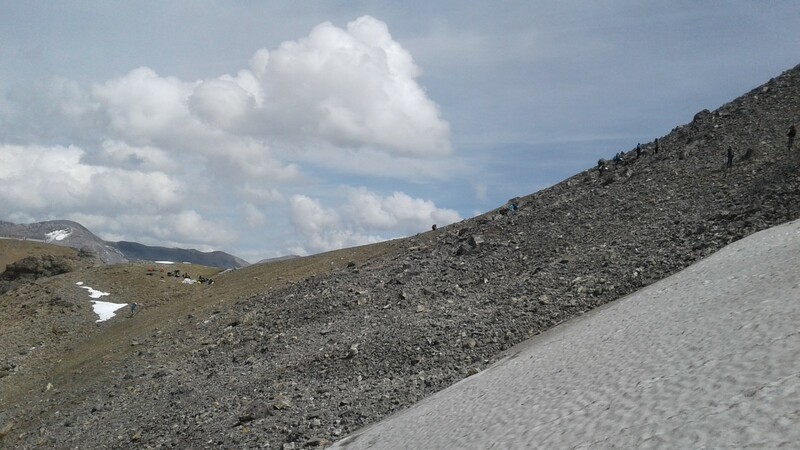 Other indicators for presence are surface features such as mounds that could be caused by considerable frost heave, lobes perpendicular to the slope and front angles exceeding the critical angle of repose. They can indicate that ice has had an influence on the geomorphology in the area. If you suspect ground ice in your area of interest, and you want to confirm or rule out your suspicion as well as investigate the extent of the ice, you might consider doing a geophysical survey. There are a few useful inherent properties of ice that make it possible to distinguish it from rock, air or water. These properties will determine the choice of geophysical methods to use. This week, we will illustrate two methods which, when combined, can be useful tools for determining ground ice presence or absence. 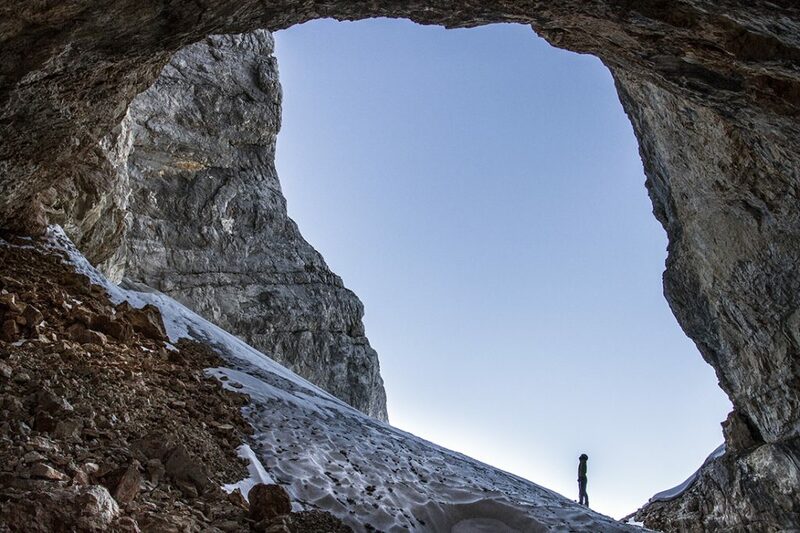 The test subject is an area of suspected frozen ground just below 3000 m altitude – the Rohrbachstein in canton Bern, Switzerland. In an electrical resistivity tomography (ERT) survey, we measure the potential difference (ΔU) of a material, over a given distance, when applied with a certain current strength (I). From the fact that resistance is computed by dividing U by I, the electrical resistivity of the material can be estimated. The resistivity can be seen as the reciprocal of the material’s electrical conductivity and is measured in mΩ. Practically, an array of electrodes are placed in the ground with a certain spacing and a certain length of the profile. The spacing and length of the profile determine the resolution and penetration depth. All electrodes are then connected with a cable to each other and to the instrument, which works as both a voltmeter and a source of current. Then, systematic measurements of potential difference can be conducted throughout the whole profile. Water has an electrical resistivity of 10-100 mΩ, whereas ground ice has a resistivity of 103 to 106 mΩ. 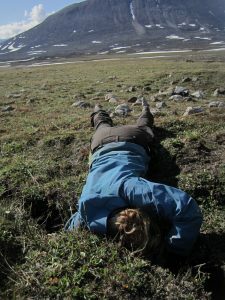 This makes this method practical for distinguishing liquid from frozen water in permafrost areas. The resistivity of rock is between 102 to 105 mΩ, and the resistivity of sediment depends on the mixture of rock, water, ice and air. 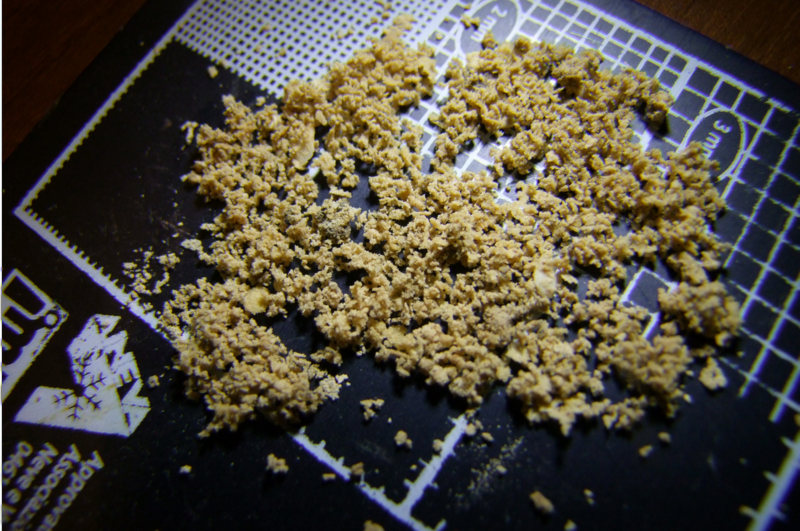 Air has an extremely high resistivity, which should be easy to point out, but since below-ground material is mostly a mixture of all the mentioned components, things are very often more blurry. What one actually looks for in the measurements is areas of higher, lower and in-between electrical resistivity values. An example of such a case is displayed in our Image of the Week. Our Image of the Week shows the resistivity profile of a slope at just below 3000 m altitude in the Bernese Alps, Switzerland. For comparison, the same slope is shown in a normal photo in Fig. 2 (not to scale). Blue colours mark high resistivities, red mark low, and green mark somewhere in between. From this profile, we might conclude that the upper layers of the lower slope are moist and underlain by bedrock (red and green, respectively, whereas the upper slope seems to be moist below an area of high resistivity (red below green-blue). Additionally, there is a significant feature of high resistivity in the middle of the slope. This slope could contain ice in those blue areas. However, the high resistivities could also be caused by air volume in this blocky site. To be certain, we can use an additional method. Fig. 2: Photo of the north-facing slope of the Rohrbachstein in canton Bern, Switzerland. 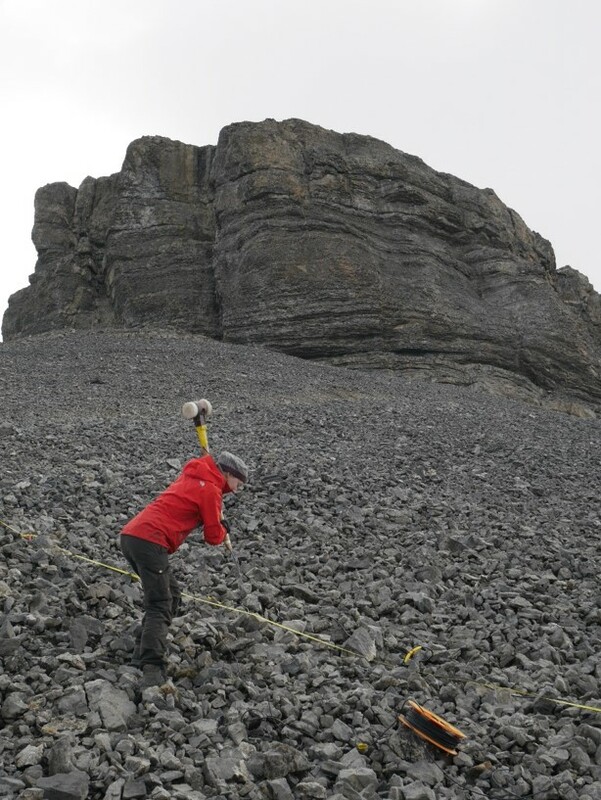 The photo was taken facing east and shows the upper part of the slope analyzed with ERT and seismic refraction, but is not to scale compared with the Image of the Week and Fig.4 [Credit: Laura Helene Rasmussen]. To distinguish air from ice, we can do a survey of the subsurface using seismic refraction analysis. Seismic refraction surveys use the fact that the speed (in ms-1) of sound wave propagation is different through different materials. The speed is estimated by placing geophones in a profile line and creating a sound wave by hitting the ground with a sledgehammer in between them (Fig. 3). The geophones detect the sound wave from this hammer blow one by one as it travels through the subsurface, and the time it takes for each geophone to receive the signal is noted. This allows us to calculate the seismic (sound) velocity from the distance and travel time. Different layers in the subsurface with different properties, and thus different seismic velocities, will cause the sound wave arriving at their surface to be refracted with different delay compared to the direct wave (which travels straight from the hammer to each geophone), and that fact can reveal properties of below-ground material. Fig. 3: Hammer-swinging doing a seismic refraction profile [Credit: Hanne Hendricks]. The advantage of this method for ground ice studies is that ice has a seismic velocity of about 3000 ms-1, whereas sound waves move through air with only 330 ms-1. Thus, a rough profile of that same slope from our Image of the Week and Fig. 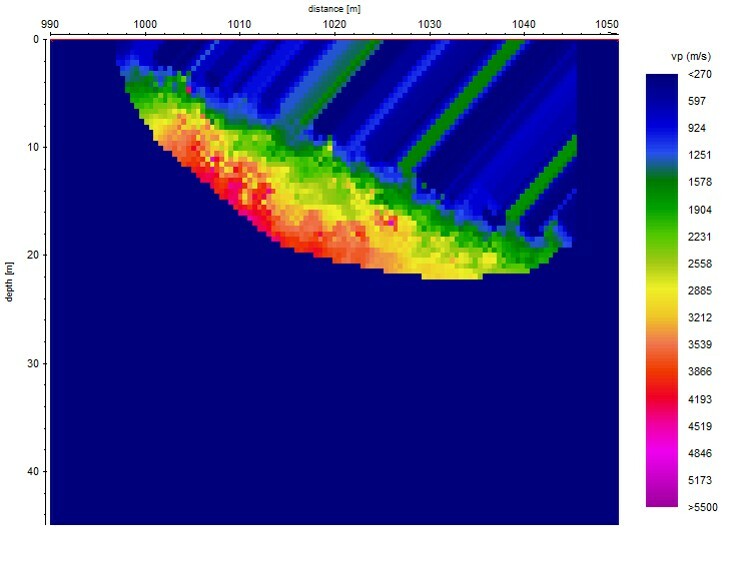 2 using seismic refraction geophysics looks like Fig. 4. In this profile, red colours denote high seismic velocities and blue colours are very low seismic velocities. The high-resistivity feature in the middle of the ERT profile at about 3-4 m depth, which could contain air or ice, would cause red-purple colours (high velocities) if the feature contained ice, and blue colours (low velocities), if it was air volume. As seen from Fig. 4, colours at depths are reddish and certainly not blue, which makes it likely that the ERT feature at 3-4 m depth is actually an ice body. The high-resistivity area in the surface layers of the upper profile, however, corresponds to the blue colours in this seismic refraction profile, and with high resistivity, but low seismic velocity, this area is most likely air volume and not ground ice. Fig. 4: Seismic refraction profile of the north-facing slope of the Rohrbachstein in canton Bern, Switzerland [Credit: University of Fribourg, Switzerland]. 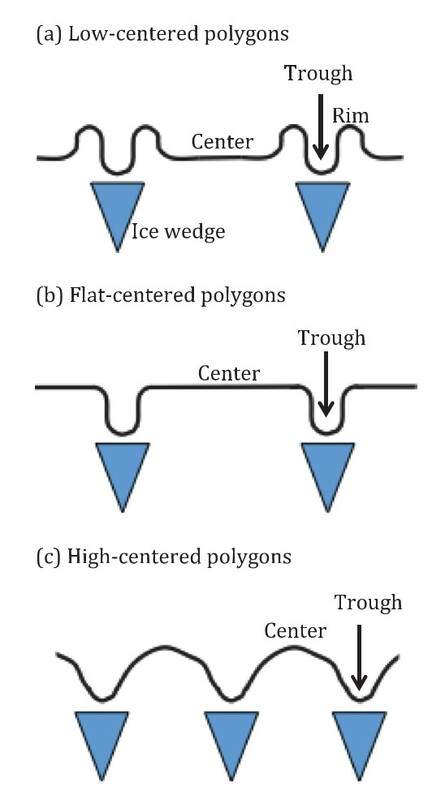 Ground ice does, obviously, come in different forms in different environments, and so the methodological considerations when using geophysical techniques vary in different settings. In this case, we look for ice in a blocky slope. That type of setting presents challenges such as contact problems between sensors and the ground, which can impede the measurements. 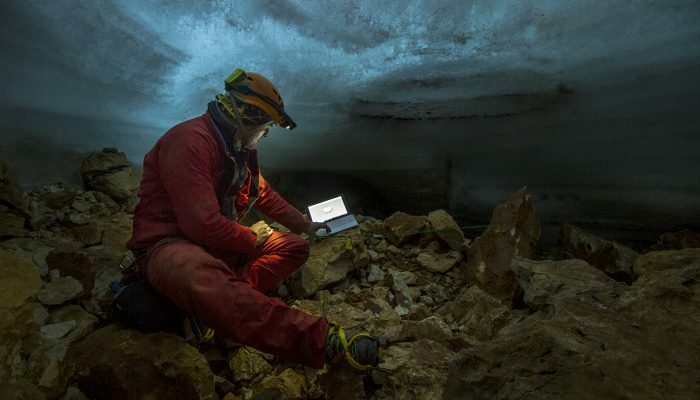 That issue would not worry a scientist mapping ground ice in a moist Arctic lowland site. The lowland scientist might, however, have to consider resolution issues or salt content in her soil solution when evaluating the results. 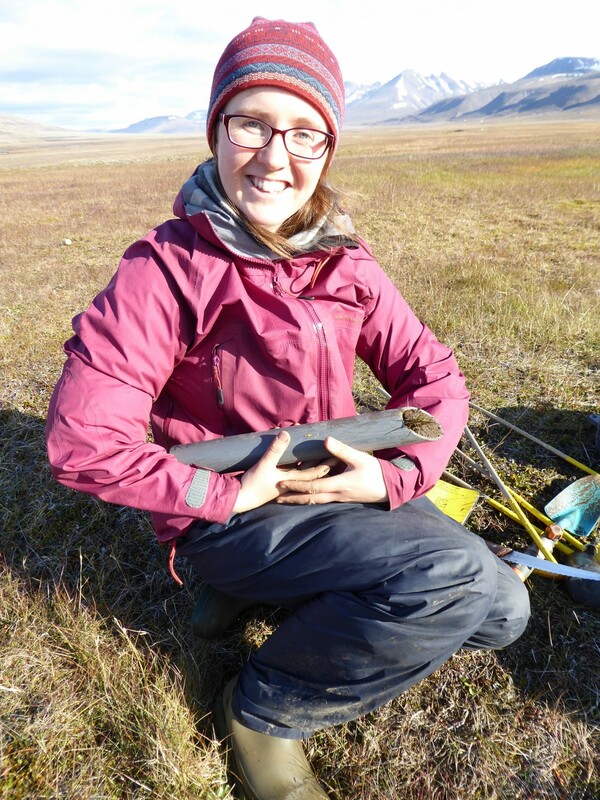 Perhaps she wants to combine with yet other methods such as drilling permafrost cores for detailed information on ice- and sediment type. 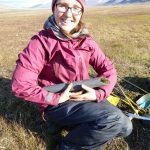 As non-destructive methods, covering relatively large spatial areas without having to get a drill rig to the high mountains or a remote Arctic area, however, geophysics can be a good option for ground ice detection. 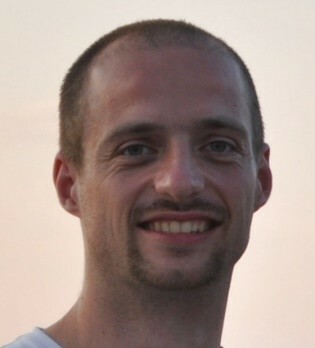 Hauck, C. and Kneisel, C. (2012): Applied Geophysics in periglacial environments. Cambridge University Press, 240 pp. Maurer, H. and Hauck. C. (2007): Instruments and Methods. 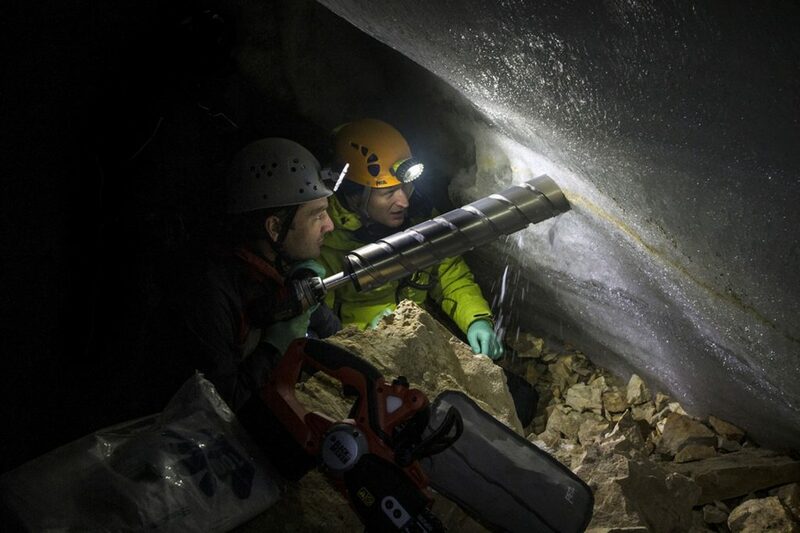 Geophysical imaging of alpine rock glaciers. Journal of Glaciology, 53, pp. 110-120. Reynolds, J. M. (2011): An introduction to applied and environmental geophysics. John Wiley and sons, Chichester. 712 pp. Image of the Week – Heat waves during Polar Night! Fig. 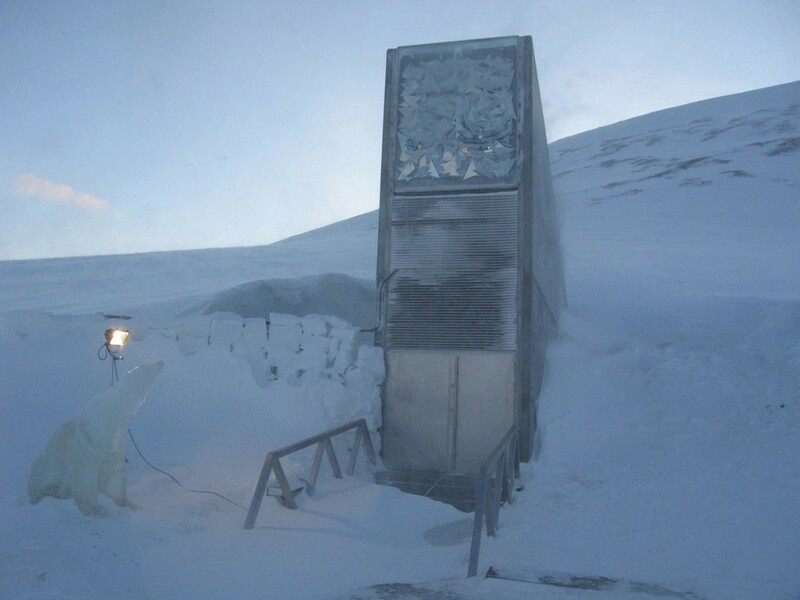 2: Entrance of the Svalbard Global Seed Vault. [Credit: Dag Terje Filip Endresen, Wikimedia Commons ]. The last two winters (2015-2016 and 2016-2017) have been particularly exceptional. 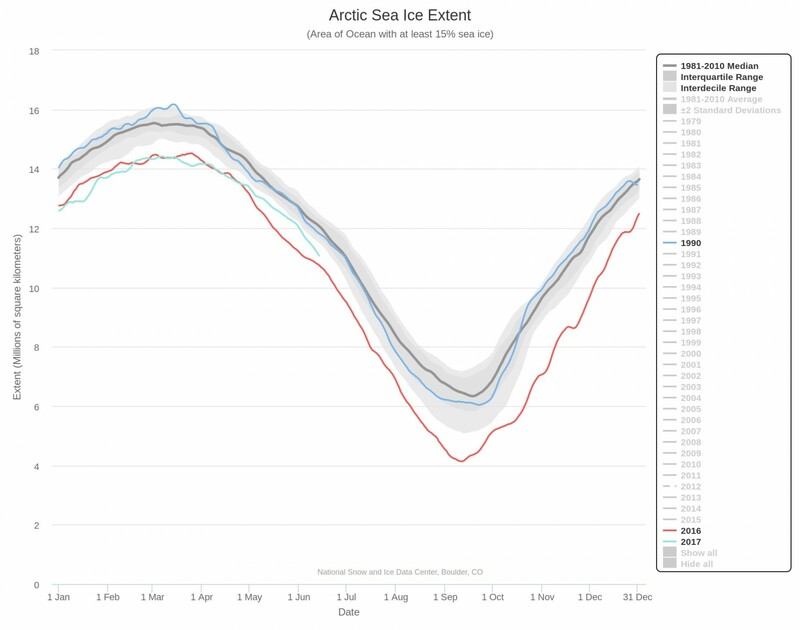 As displayed in our Image of the Week for winter 2016-2017 and here for 2015-2016 (see also two news articles here and here for an accessible description of the event), temporary intrusions of relatively warm air pushed air temperatures above freezing point in several parts of the Arctic, even causing sea ice to “pause” its expansion at a period of the year where it usually grows at its fastest rate (see Fig. 3). Cullather et al. (2016) and Overland and Wang (2016) conducted a retrospective analysis of the 2015-2016 extreme winter and underlined that the mid-latitude atmospheric circulation played a significant role in shaping the observed temperature anomaly for that winter (see also this previous post). Scientists are still working to analyse the most recent winter temperature anomaly (2016 – 2017). How unusual are such high temperatures in the middle of the boreal winter? It is important to keep in mind that the type of event featured in our Image of the Week results from the superposition of weather and climate variability at various time scales, which must be properly distinguished. At the synoptic scale (i.e., that of weather systems, several days), the event is not exceptional. For example, a similar event was already reported back in 1975! It is not surprising to see low-pressure systems penetrate high up to the Arctic. At longer time scales (several months), the observed temperature anomaly in the recent two winters is more puzzling. 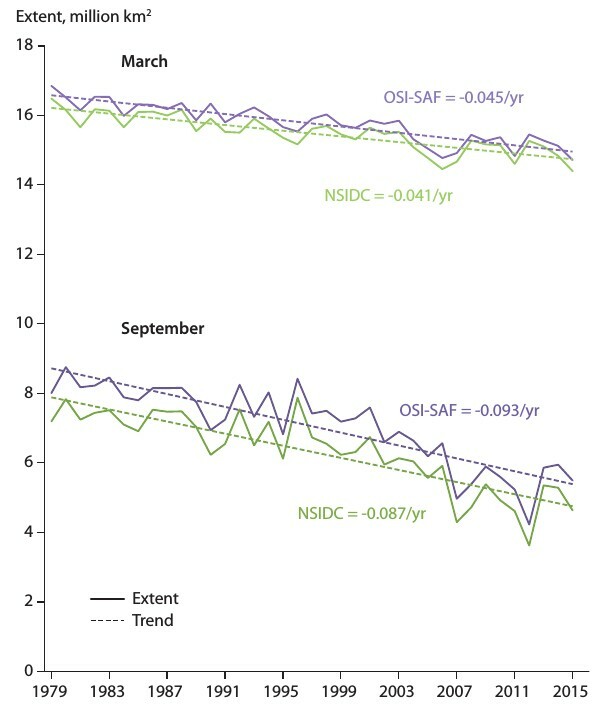 The winter 2015-2016 configuration appears to be connected with changes in the large-scale atmospheric circulation (Overland and Wang, 2016). To understand the large-scale atmospheric circulation, scientists like to map the so-called “geopotential height” field for a given isobar, that is, the height above sea level of all points with a given atmospheric pressure. The geopotential height is a handy diagnostic because, in a first approximation, it is in close relationship with the wind: the higher the gradient in geopotential height between two regions, the higher the wind speed at the front between these two regions. The map of geopotential height anomalies (i.e., deviations from the mean) for the 700 hPa level in December (Fig. 4) is suggestive of the important role played by the large-scale atmospheric circulation on local conditions. 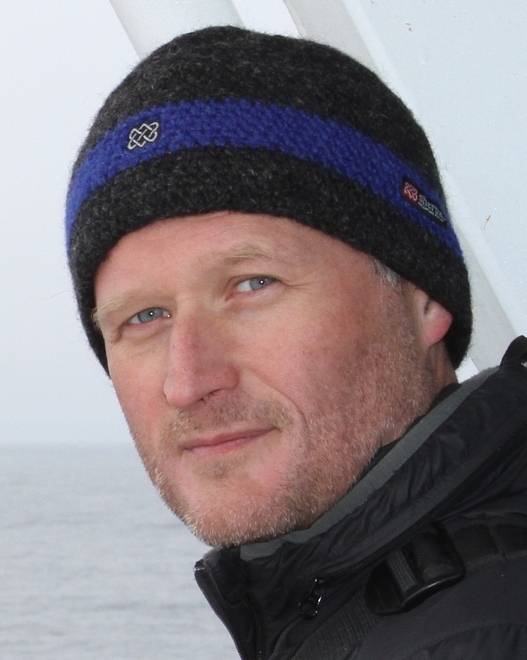 The link between recent Arctic warming and mid-latitude atmospheric circulation changes is a topic of intense research. 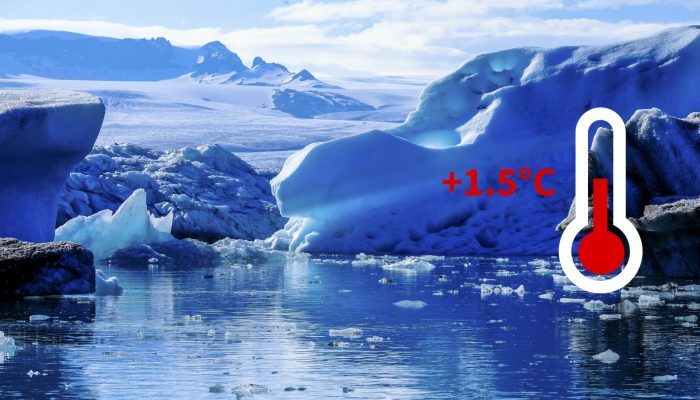 Finally, at climate time scales (several years to several decades), this event is not so surprising: the Arctic environment has changed dramatically in the last few decades, in great part due to anthropogenic greenhouse gas emissions. With a warmer background state, there is higher probability of winter air temperatures surpassing 0°C if synoptic and large-scale variability positively interact with each other, as seems to have been the case during the last two winters. What does this mean for future winters? Ice is usually something you see covering large ocean areas, mountain tops and passes or as huge sheets in polar regions. This type of ice is clearly visible from space or with the naked eye. There is, however, a large volume of ice that is less visible. This ice is distributed over the polar and high alpine permafrost regions; and is the ice hidden below ground. It might be hidden, but that doesn’t mean we should ignore it. If this below-ground ice melts, the ground might collapse! To change the surface of a landscape usually requires wind or water, which actively erodes the material around it. 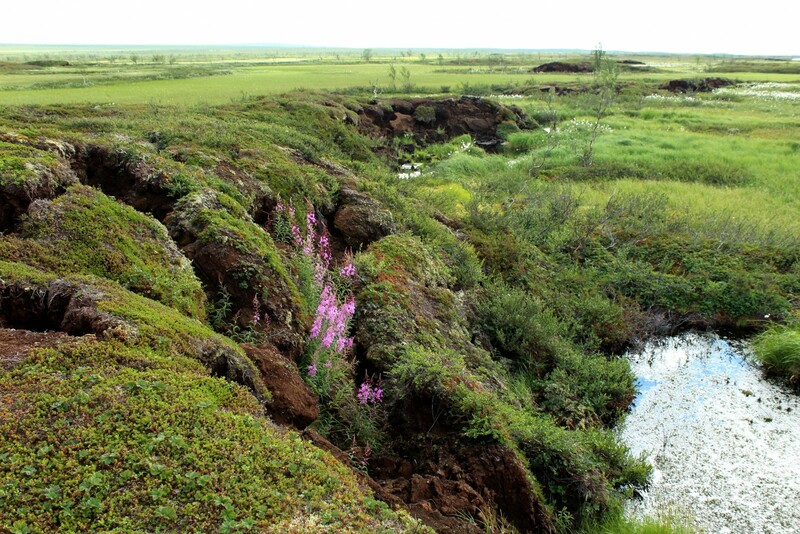 In permafrost areas, however, different mechanisms are at work. 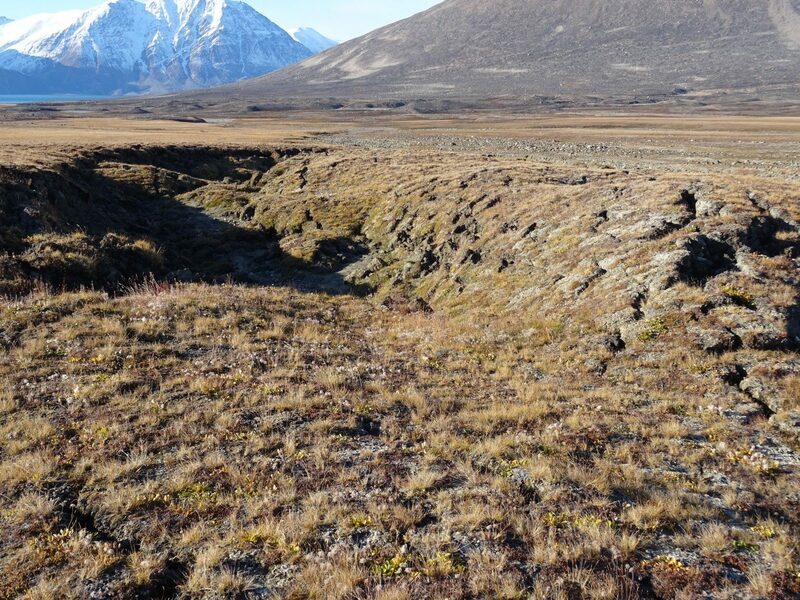 In these areas, the ground or parts of the ground, are frozen all year round and the formation and melting of below-ground ice changes the landscape in a complicated way. Below-ground ice can have many shapes and sizes depending on moisture availability, sediment type and thermal regime (French, 2007). Because a gram of ice has 9 % higher volume than a gram of water, simply freezing, thawing and re-freezing soil water can make the surface “wobbly” and irregular. Since ice doesn’t drain from a saturated soil, as water does, a permanently frozen soil can also contain moisture in excess of the absorption capacity of the soil – excess ice. This means that ice might take up the majority of the ground volume in ice-rich areas. Our Image of the Week (Fig. 1) was taken in NE Greenland. The phenomenon shown is a result of ground, which has been frozen for many years, being destabilized. 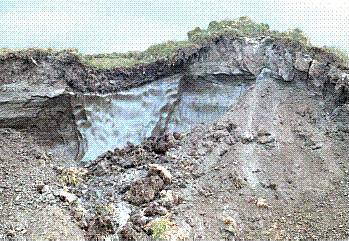 In this photo, the below-ground ice has begun to melt, and the decrease in ice volume has caused the ground to collapse, forming what is known as a thermokarst development (Fig. 1). 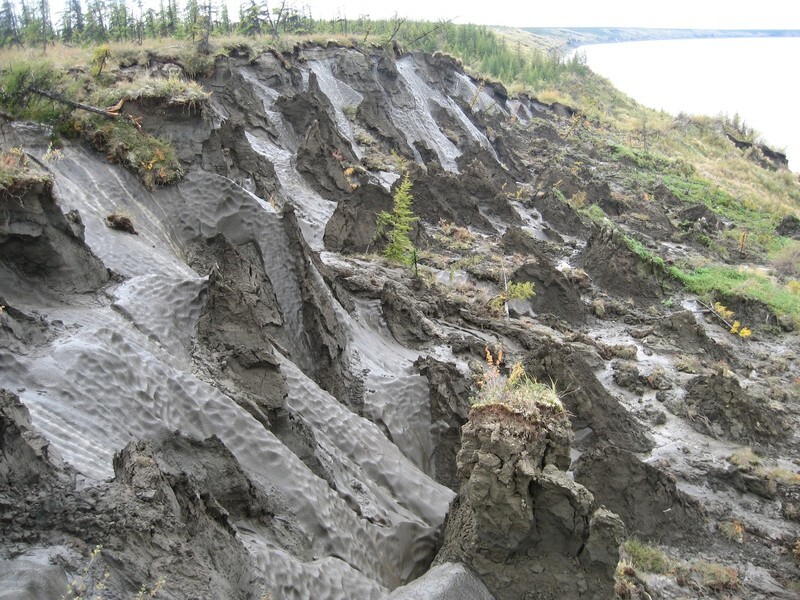 This is just one type of feature that can be caused by below-ground ice mass loss. 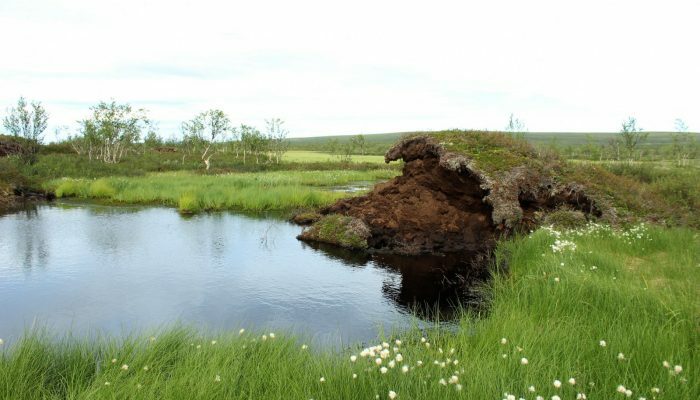 Kokelj and Jorgenson (2013) give a nice overview of recognized thermokarst features including: retrogressive thaw slumps, thermokarst lakes and active layer detachment slides. 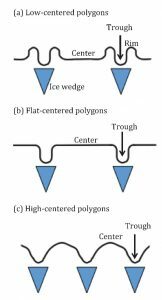 Ice melt might also simply be expressed as a lowering of the land surface (thermal subsidence), as observed in peat (Dyke and Slaten, 2010) and in areas with ice wedge polygons (Jorgenson et al., 2006), or in upraised plateaus (Chasmer et al., 2016). The spatial scales of these types of collapse features span from depressions of 10 cm depth to areas of several square kilometers, with thermokarst features many meters deep. The rates of surface change also vary from sudden detachment and slide of the unfrozen upper active layer on slope, to features developed over centuries and even millennia (e.g. 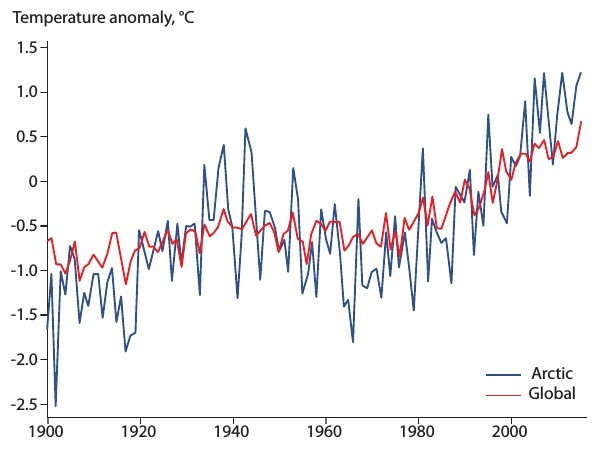 Morgenstern et al., 2013). The most dramatic surface changes often happen where ground ice content is high, such as in the coastal lowland tundras of Siberia (e.g. 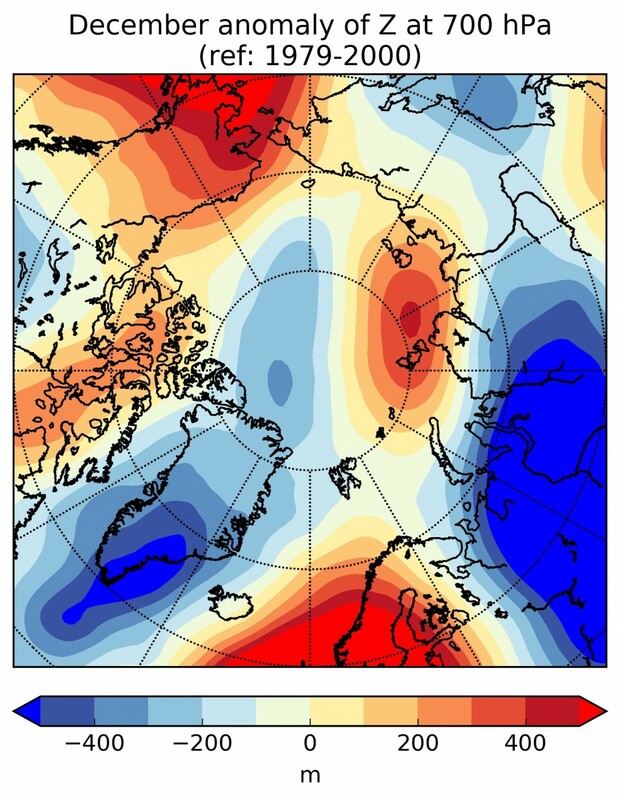 Morgenstern et al., 2013) or coastal northern Canada (Fortier, et L., 2007). However, thermokarst development is found also in coastal Greenland (Fig. 1) and even the McMurdo Dry Valleys of Antarctica (Levy et al., 2013). Why does the ground ice melt? Erosion of the surface allows for atmospheric energy to penetrate deeper into the ground. Thermal contraction or other types of cracks might create an easy access to deeper layers for water and energy. Persistent running water might erode physically as well as transfer fresh energy into the system. Fig. 2 shows a recently opened crack in the ground, close to the karst formation shown in Fig.1. 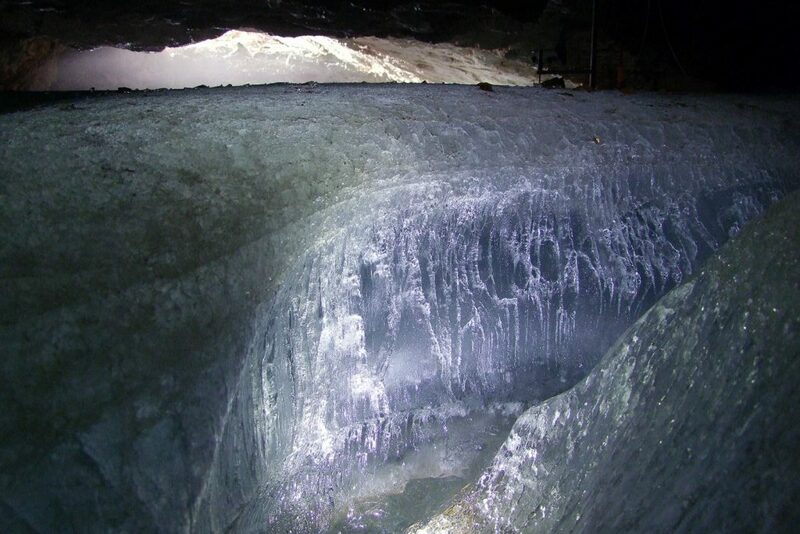 The crack reveals a large body of massive (pure ice) below-ground ice. The opening of the crack, however, also creates a highway for heat energy into the now unstable ice body, which will start degrading. The surface changes somewhat. No big deal. 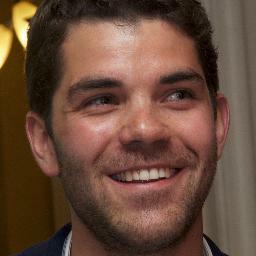 Why investigate where and how and how much and how fast? For people living in permafrost areas thermal subsidence might happen below the foundation of their house or destabilize the one road leading to their local airport (Fortier, et al., 2011). Figure 3: Taking a closer (!) look at below-ground ice, NE Greenland [Credit: Line Vinther Nielsen]. Thermal subsidence might also change the hydrology of the area, causing surface water to find new routes (Fortier, et al., 2007) or pool in new places. 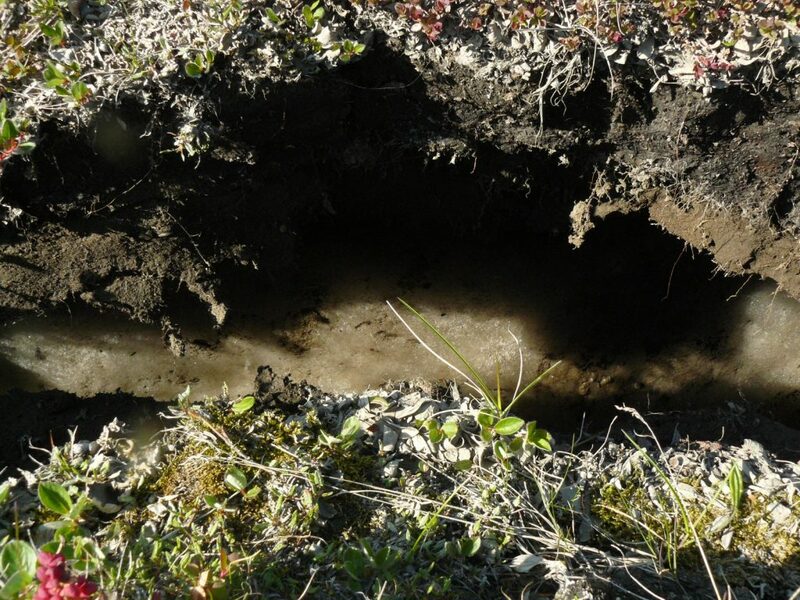 When water pools in the depressions above frozen ground, the exchange of energy between the atmosphere and the permafrost is altered. 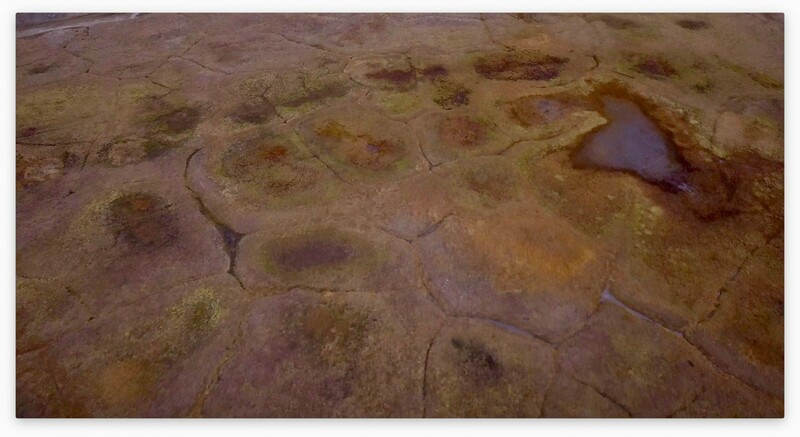 and crucially mobilising otherwise dormant carbon stored in the permafrost (Tarnocai, et al., 2009). 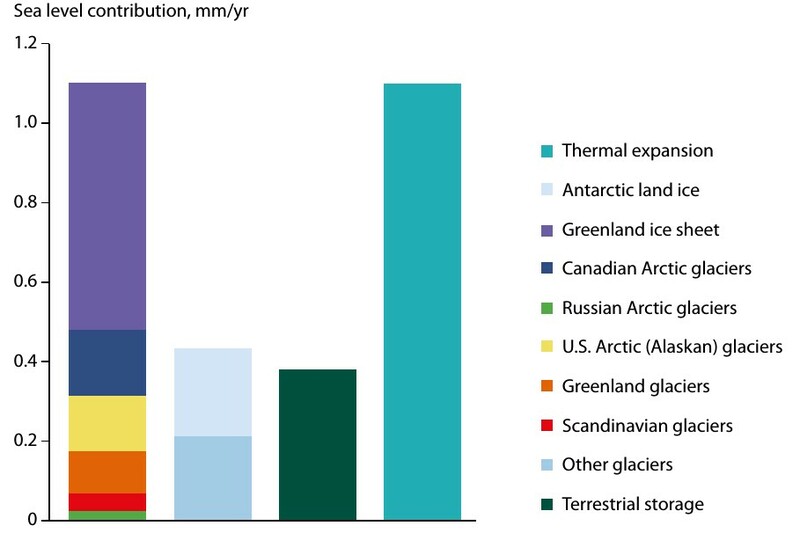 Schematic summary of the dominant observed variations in the cryosphere. 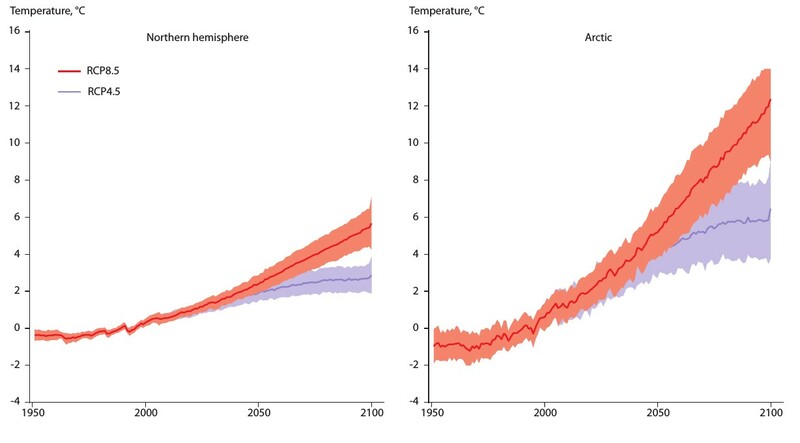 [Credit: fig 4.25 from IPCC (2013) ]. While the first week of COP22 – the climate talks in Marrakech – is coming to an end, the recent election of Donald Trump as the next President of the United States casts doubt over the fate of the Paris Agreement and more generally the global fight against climate change. 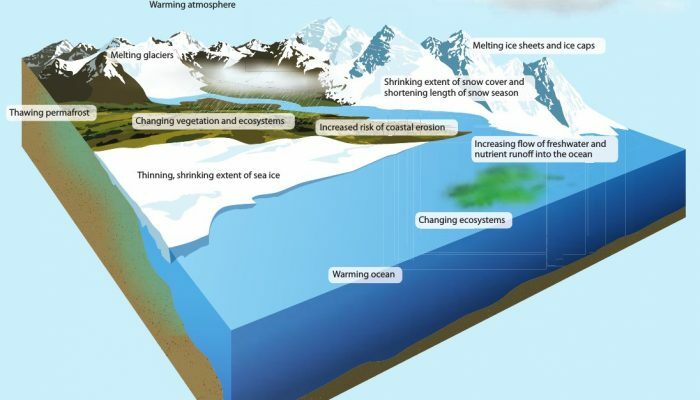 Glaciers are the component of the cryosphere that currently contributes the most to sea-level rise. 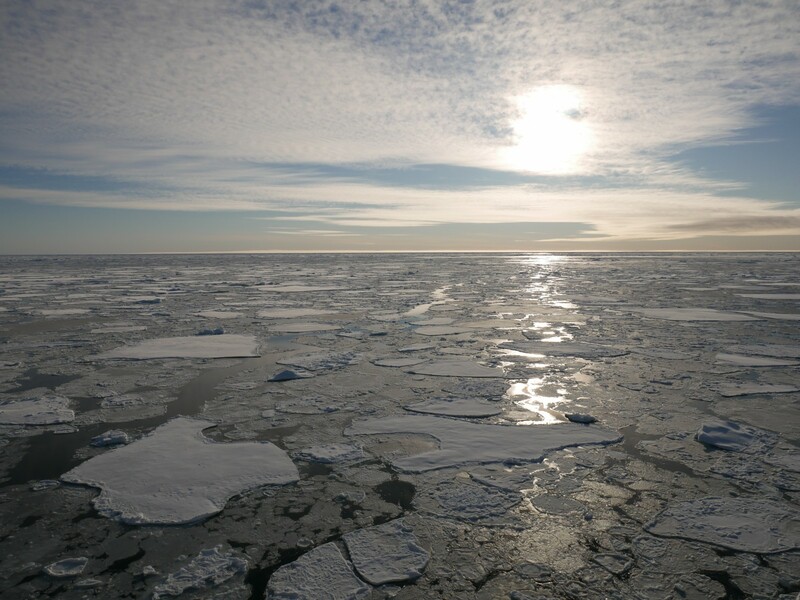 On average, sea ice thinned by 1.3 – 2.3 m between 1980 and 2008. Some ice tongue and ice shelves are progressively thinning in Antarctica and Greenland. 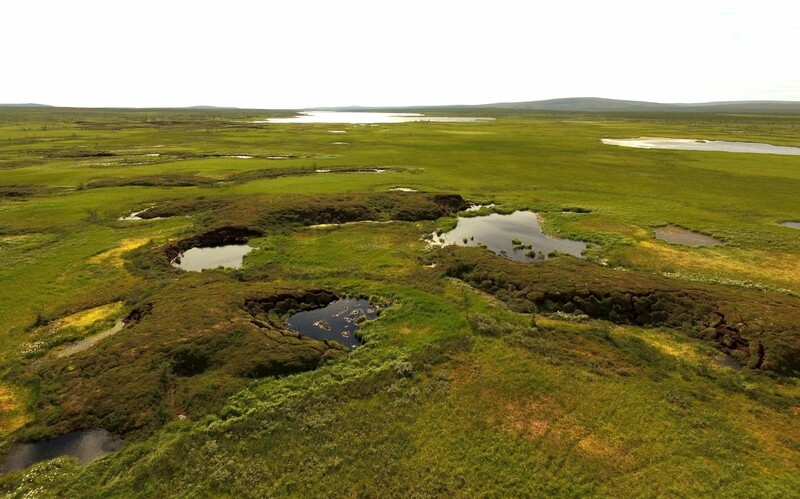 Since the early 1980s, permafrost has warmed by up to 2ºC and the active layer – the top layer that thaw in summer and freezes in winter – has thickened by up to 90 cm. Since mid 1970s, the southern limit of permafrost (in the Northern Hemisphere) has been moving north. Since 1930s, the thickness of the seasonal frozen ground has decreased by 32 cm. Largest decreases in June (53%). How much can President Trump impact climate change? Image of The Week – Prize Polar Pictures! Permafrost thawing and its impacts on reindeer breeding.. This figure was created by Noémie Ross - a young graphic designer and illustrator from Montréal, Canada., as part of the ‘A Frozen-Ground Cartoon’ project. It won 1st place at the 2016 Fall APECS International Polar week figure competition. Click here to enlarge the image. Last week was the Fall APECS International Polar Week, designed to promote and celebrate the great collaborative science that goes on around the world to further our understanding of the polar regions. Part of this celebration was a figure competition, to find the most “eye-catching, informative and inspiring” figures that illustrate aspects of polar science. What better, we thought, than to feature the winning figure as our Image of The Week? 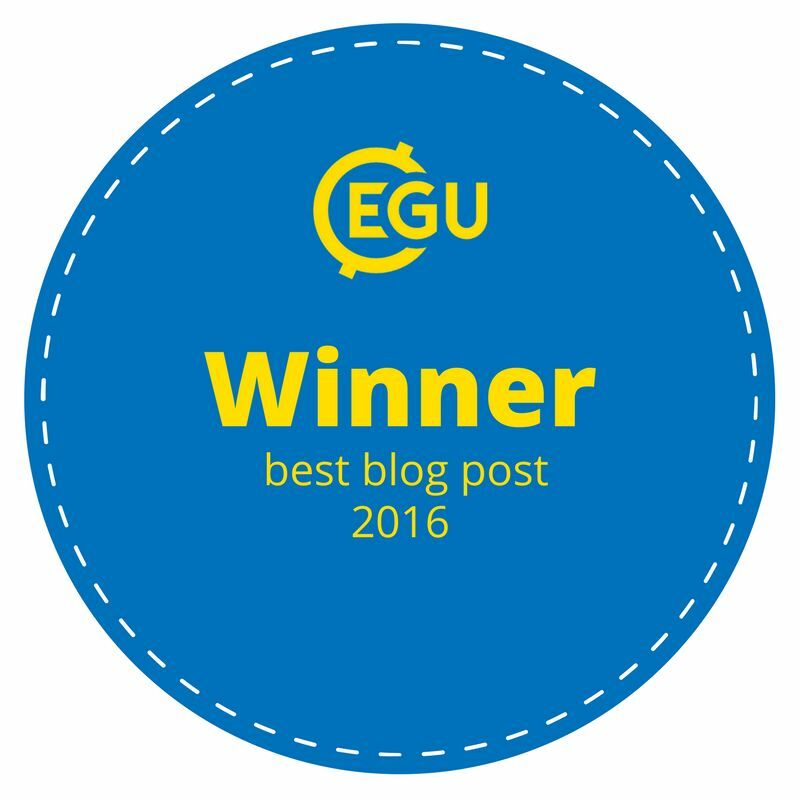 They say a image tells a thousand words and here at the EGU Cryosphere blog we wholeheartedly agree! 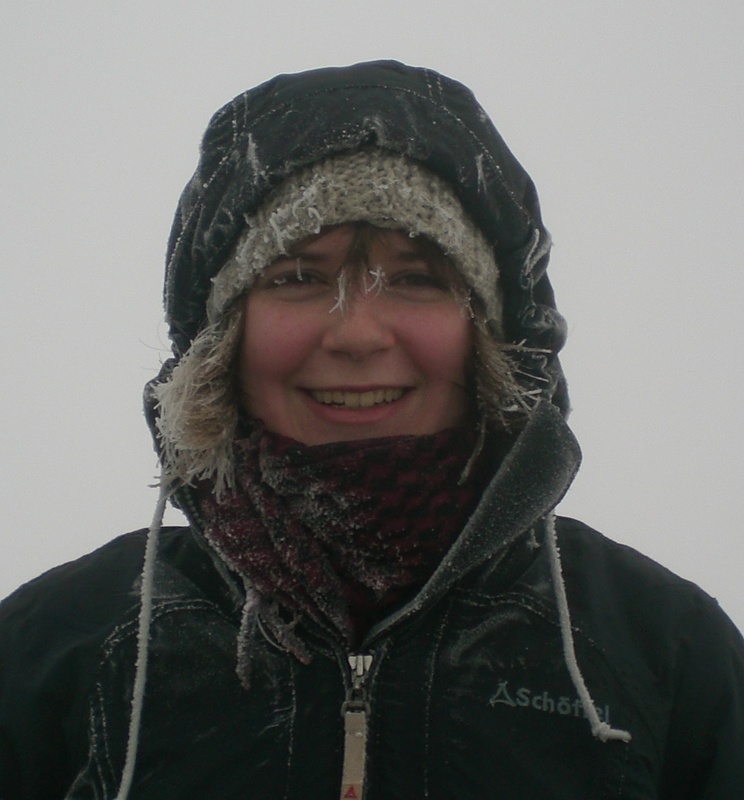 For the past 4 years APECS (The Association of Polar Early Career Scientists) have organised an International Polar Week each March and September. The International Polar Weeks are timed to coincide with the two equinoxes – the only times of year where the Northern and Southern hemisphere are equally illuminated by the sun – a rather nice way to tie our polar regions together! 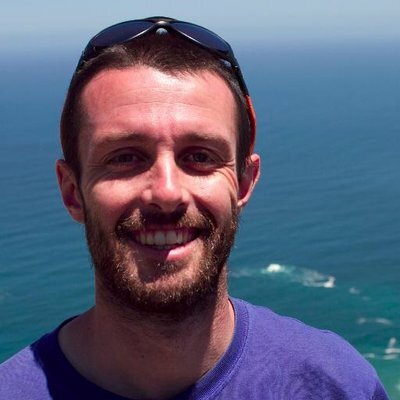 International Polar Week highlights the importance of the polar regions and, in particular, provides an opportunity to develop new outreach activities in collaboration with teachers and educators. APECS have a fantastic catalogue of polar outreach resources for anyone wanting to spread the word about these diverse and important regions of Earth. 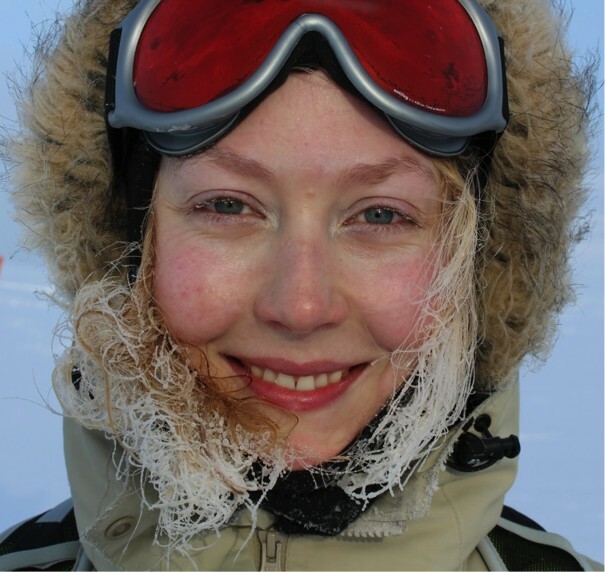 They also organise events such as polar film festivals, talks and a figure competition. Today’s Image of The Week is the winning figure from the Polar Week figure competition, created by Noémie Ross as part of the “A Frozen-Ground Cartoon“ outreach project. “A Frozen-Ground Cartoon” – Where science meets art! “A Frozen-Ground Cartoon“ outreach project was designed to help spread the word about permafrost and its crucial importance in our changing climate through thematic comic strips. 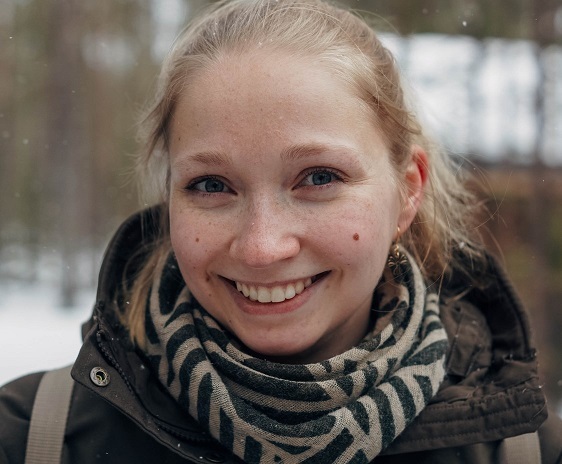 Through these cartoons and comics the project aims to make permafrost science accessible to children, young people and the parents and teachers. The project is funded by the International Permafrost Association and chaired by Frédéric Bouchard with a core group of young researchers from Canada, Germany, Sweden and Portugal providing the scientific information. The cartoons, one of which we feature today, are all designed by young artists. 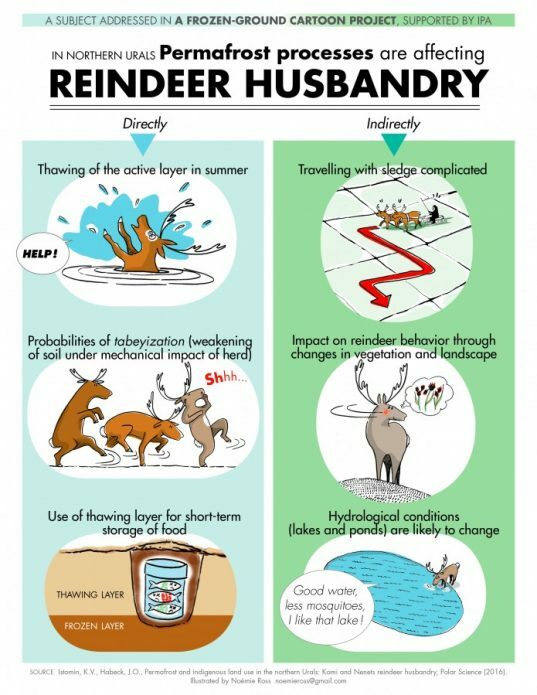 Today’s image of the week highlights some of the ways that thawing permafrost will affect the lives of indigenous peoples in the Urals who live by reindeer-herding. This cartoon was based on the study of Istomin and Habeck (2016), and effectively provides an accessible way to communicate the key findings of this study to a general audience.